This is the last installment of the addicting Broken by the Sea Trilogy and I enjoyed this book, but a little less than the previous two books in the series. The book picked up where Missy and Adam had gotten back together and Missy had just found out about her fathers illness. Ava, with her flawless and masterful writing, managed once again to take me on an emotional roller coaster which left me in tears in certain parts of the book. I enjoyed that in this book we really got to see the ups and downs, the strengths and insecurities in Adam and Missy's relationship. At times I did feel Missy was being annoying with her hypocritical behaviour and insecurities, but I love how strong she was that she always managed to overcome her flaws and problems. I loved that we got to really see the extent of Adam's love for Missy in this book it was so heart warming. In this book we got to see more into Missy's past and her relationship with her father, which was brilliantly written, it also enabled the reader to understand both the characters better. The beginning of the book was a bit slow, but once I got to the second half of the book I was glued and unable to stop reading. I again wished to see Adam's point of view, but even with out it this was a brilliant book and an awesome series. I am really going to miss the characters and their story. Missy and Adam has finally fixed their relationship and gotten back together, when Missy finds out that her father is terminally ill. When Missy heads to Tampa for college and Adam heads back to Kansas, Missy starts to feel alone and insecure. 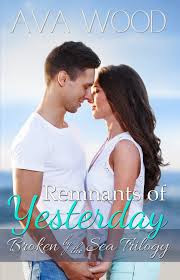 Will Missy be able to let go of her past demons and insecurities, in order to get her happy ending with Adam?